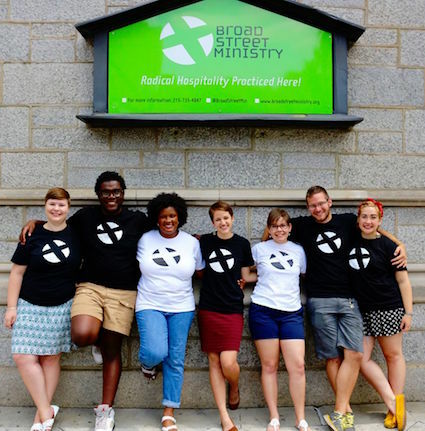 Broad Street Ministry is very serious about its commitment to providing “radical hospitality” to vulnerable individuals in Philadelphia. In fact, the organization serves approximately 65,000 meals a year. Broad Street doesn’t stop there; the team also delivers services to approximately 5,000 guests per year including 83,500 pieces of mail to 2,805 mail participants and distributes over 7,800 personal care bags each year. With big initiatives like these, it’s no surprise that volunteers are an integral part of operations. Over 7,000 new volunteers lend their time annually, and the list continues to grow. Activities range from plating and serving meals, to hosting the dining room, to distributing clothing and personal care items. Needless to say, there is plenty of work to be done. In late 2014, the organization’s volunteer list had grown so large that spreadsheets could no longer keep everything organized. Broad Street was looking for more than just a simple database to record volunteer information. 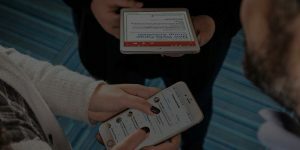 It needed a powerful, cloud-based solution that also integrated with its CRM (eTapestry). An important part of this smooth transition can be attributed to VolunteerHub’s flexible user group feature. “VolunteerHub allows us to reserve a certain number of slots for our groups that regularly send volunteers. This allows us to plan for a headcount but still be welcoming to new faces,” said Julia. And, after the “new faces” are done helping, Broad Street hands out informational cards, encouraging supporters to visit the organization’s site and register for future events. 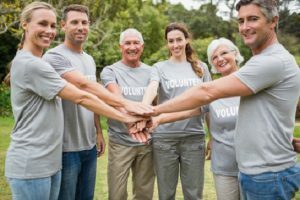 This simple, yet effective process has resulted in an increased level of engagement and reduction in volunteer churn. Broad Street Hospitality Collaborative’s focus is on offering fulfilling experiences for individuals. Now, thanks to VolunteerHub, the volunteer’s experience is even more fulfilling that ever before.